Yeah. You guessed it – trolls. It wouldn’t be wrong to say that trolls are the most malignant creatures that exist on the web. They are the spawns of the devil that were chased out of hell and somehow found a home in the pixelated world of online gaming. While many gamers can’t wrap their heads around the sick mindset that leads to this unsportsmanlike behavior, there are still countless trolls on online games, taking out their frustrations, fears, and insecurities out on noobs. What’s even worse, is what once was a practice of a bunch of 15-year-old brats has now become a norm amongst adults, who find a lack of stimulation “IRL” (in real life) which is just a shame. The good news is game developers have been working to set things straight. The only problem is that devs seem to be taking their own sweet time in taking the necessary measures that would put an end or at least curb the negative impact of trolls in a game. This has led many a gamer to just assume the worst, as in, getting stalked, harassed or nuked shortly after someone else spots you. Indeed, blowing off steam is important whenever one gets trolled while playing online. Just like when somebody cuts you off while driving, you feel disrespected, and you drive up next to the other car to see what that A-hole looks like, before showing them the bird and driving off into the sunset, wearing your reaction like a victory badge of honor. You’ll probably be telling someone at home about the jerk that made the mistake of cutting you off at the signal. Wouldn’t it be great if there was some way to deal with the trolls you encounter while playing a game in the same way? When Bethesda first announced that their newest release Fallout 76 was going to be an online game, you could just hear the alarm bells ring. Stick around in any game long enough and you are bound to bump into trolls who will want nothing more than to kill you for no good reason. So, the question was, how was Bethesda going to deal with trolls that end up ruining the game for so many players. The developer finally answered that during a presentation at QuakeCon, which was held recently. During the Presentation at QuakeCon, Bethesda’s game lead Todd Howard revealed that those players who kill unwilling victims in the new Fallout 76 will get bounties on their heads, and the money will come out of their own total cap balance. Trolling is also going to reflect their character level, which will basically make them impossible to miss, since they are going to be represented by a red star on the map. Also, to cut down the amount of troublemakers in the game, players are going to be offered strong incentives to take trolls down. 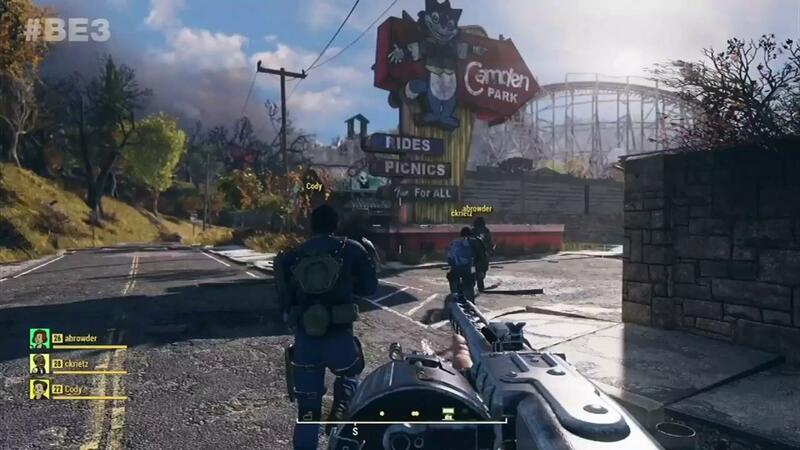 According to the developers, Fallout 76 is going to include a revenge mechanic that is going to double the usual payout if any player takes down the person who has killed them. Players are also not going to lose their core gear, like their weapons or gear every time they are taken down by a troll while playing. So, while there are some players who are still cautious about playing Fallout 76 because of the possibility of having to deal with unwanted trolls, there’s now no need to worry about someone swiping that hard-earned laser weapon you finally got your hands on. The bounty system is sure to work in Bethesda’s troll eliminating efforts, and will benefit the players who will be getting incentives to take revenge on dastardly players. Taking this a step further, Bethesda has also announced that it will be making it easier for players to avoid trolls altogether. This can be done by the new feature that allows players of Fallout 76 to ignore or block particular troublemakers. This is a smart new feature which is going to be extremely useful for those who do not want to deal with some other player who is making their gaming experience miserable. The game will also include a “Pacifist Mode” where players can avoid causing harm to other fellow players or avoid picking unnecessary fights. While the concept isn’t really ground-breaking, since Grand Theft Auto Online also offers something similar, it does show that developers are listening to the concerns of gamers and are aware of the nuisance and the toxic environment that trolls are able to create for other players who just want to have fun and blow off some steam by playing their favorite game with friends or other like-minded gamers. Because technology is advancing faster than we can understand, there are always going to be trolls who are going to feel compelled to sabotage you or your work, just because they have nothing better to do. It’s nice to see that developers such as Bethesda are finally seeing the light and have come up with a way that could be effective in dealing with trolls. That being said, there are undoubtedly going to be many who will opt for the wait-and-see approach before committing to another endless slaughter at the hands of strangers online.